A man is haunted by the fact that his late father was a murderer, something no-one will ever let him forget. His problems are further compounded when he accidentally kills a man in self-defence - and realising people will think it was malicious, he decides to hide the body. Drama, starring Dane Clark, Gail Russell and Ethel Barrymore. 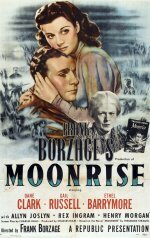 This sombre but compelling rural drama is a tribute to the skill of director Frank Borzage, a fine example of his tender feelings for young lovers in adversity. Dane Clark gives a career best performance as the murderer's son who kills one of his tormentors, while Gail Russell brings her fragile beauty to the part of the girl who believes in him. Though tracked by the sheriff and his posse, Clark's biggest enemy is himself. The film is a visual treat, and a true mood piece.